A team of Wildland students are currently preparing to tag and track ten walleye to learn more about Walleye movement patterns and habitat throughout the seasons. 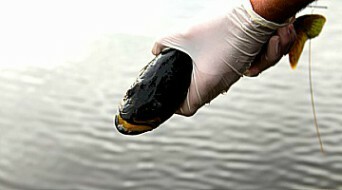 Students will be going out to Lake Eau Claire two times a week to locate our ten walleyes, for the next 12-18 months. Team members have been working for the several months planning to make the Walleye study an effective and accurate research study. Their work included contacting the DNR to obtain licenses and permits, catch fish in the off season, and working with the Lake Association for funding. With the help of local residents, students are devising a schedule for tracking over the summer. When the Walleye are spawning in the Eau Claire river a team of Wildland students will be going to the river to catch and tag Walleye using hook and line. If any of the Walleye are caught throughout the fishing season, there is contact information on each transmitter to contact someone in the project team if you intend on bagging the fish. When the tagging is finished, the process of going out to do transects on the lake will begin. 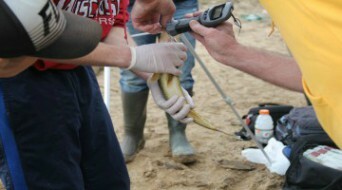 While down at the lake students will be using telemetry to determine the location of the Walleyes. Using the Esri smartphone app, students will be recording data that will then be uploaded to this website.